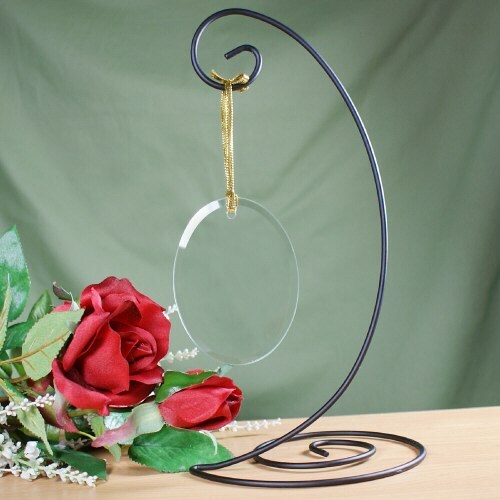 Our 10" Black Ornament Stand is perfect for displaying our glass ornaments. Ornament stand requires some assembly. The base and top attach by inserting the top portion of the stand into the angled bottom base hole. When assembled properly it should look like this photograph. Today’s Price: $7.99 In Stock! The stand does not seem very steady.